Segment Routing - It’s demo time! 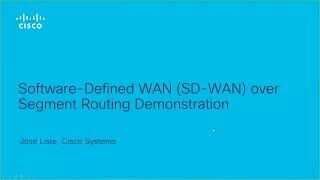 Watch Jose Liste demonstrate Software-Defined-WAN (SD-WAN) over Segment Routing. 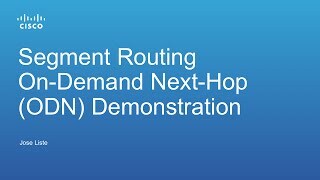 Demonstration on SP Central Office Fabric Orchestration using Cisco VTS with Segment Routing. Jose Liste demonstrates SR Data Plane Monitoring, a highly scalable monitoring solution providing blackhole detection. 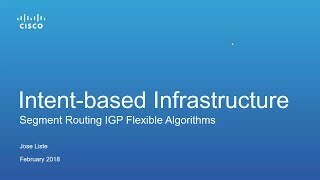 Watch Jose Liste demonstrates the benefits of newest SRTE building block: SR IGP Flexible Algorithms. 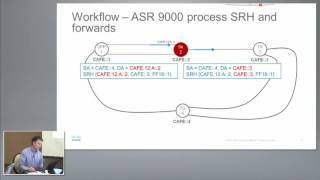 Watch Jose Liste's demonstration of the SRv6 "spray" multicast use case. 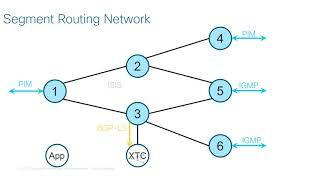 Learn how to leverage SRv6 to transport multicast traffic on an IPv6 unicast-only network. 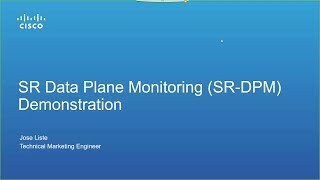 Watch Jose Liste's demonstration of SR ODN. 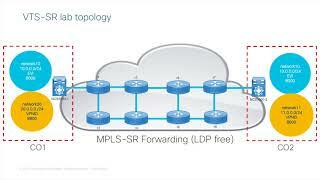 Learn how SR enables end-to-end SLA from datacenter to metro to backbone at scale. Watch Kris Michielsen's demonstration of TI-LFA. 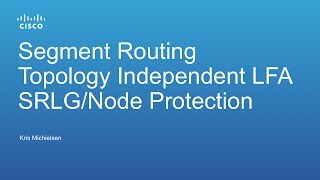 TI-LFA provides automated sub-50msec FRR in any topology, along the optimum backup path, against link, node or SRLG failure. Watch Kris Michielsen's demonstration of Microloop Avoidance. 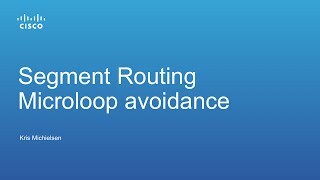 Experience first hand how SR eliminates microloops, a day-1 problem of IP networks.